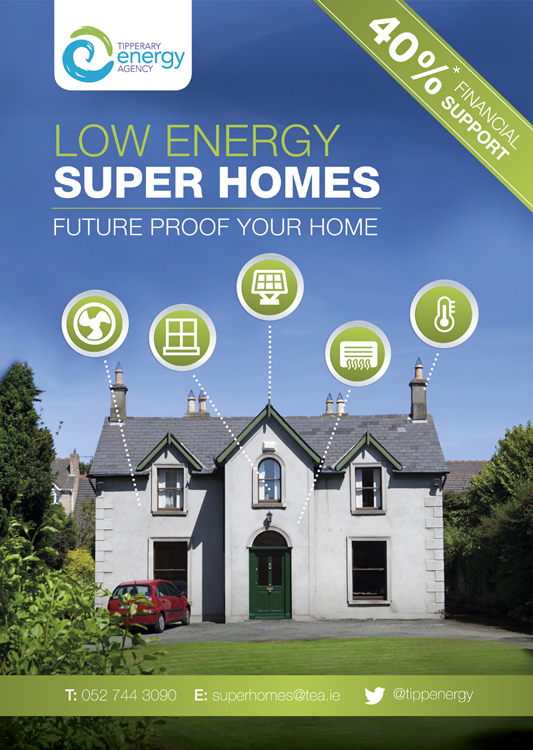 Tipperary Energy Agency launched a pilot funding project in 2015 that aimed to deliver a deep retrofit for homes funded with a repayable loan and significant capital discounts. 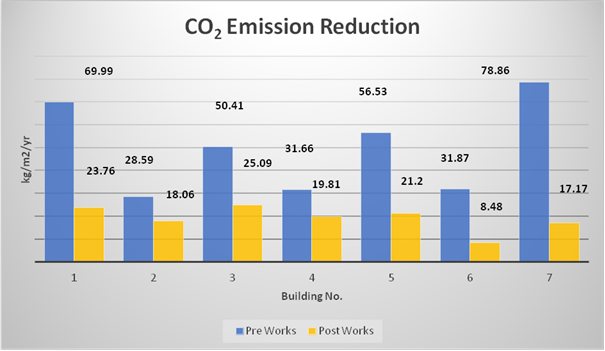 The project aim was to move away from shallow retrofit and test applications of whole house retrofit focusing on cost effective solutions. 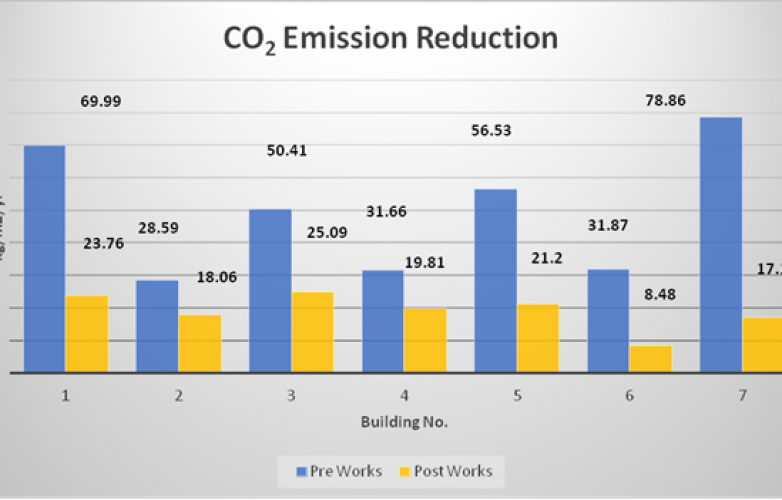 This type of retrofit was designed to significantly decrease Ireland’s carbon emissions from the domestic sector and is critical to reduce the emissions of greenhouse gases. 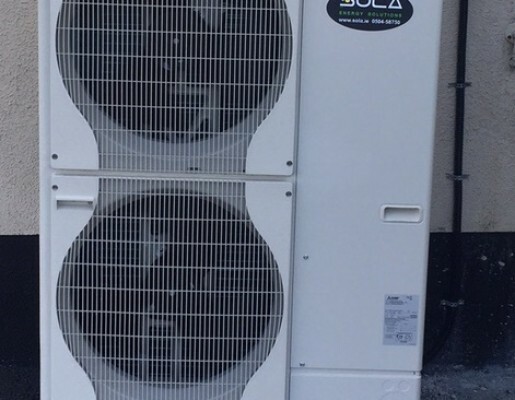 Sola has been involved in the Super Home Projects since 2015 with works resulting in dramatically reducing the supply of energy to meet the homes demand while also making these homes far more healthier and comfortable. 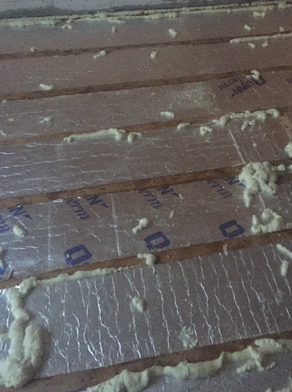 As well as making the home far more efficient and healthier, from our previous projects we have seen savings of between €1000 – €1500 per year on oil. 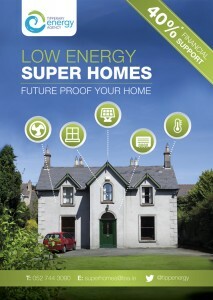 Sola is the main company carrying out works under the Super Homes project. 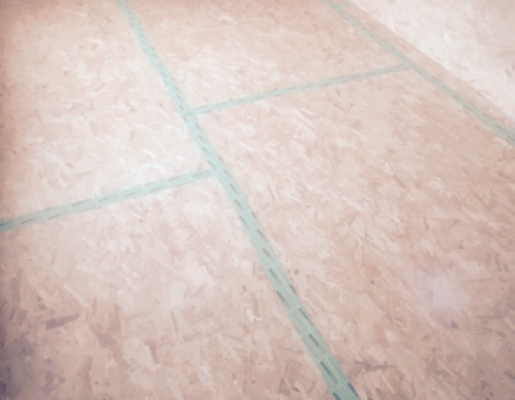 We have been recognized for our expertise in the area and delivering projects in an efficient and timely manner. To date we have completed 79 homes under this scheme. 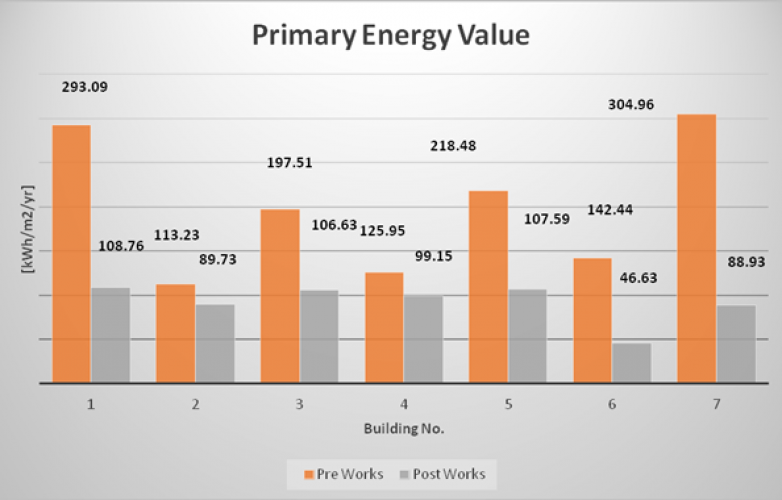 A complete range of home energy efficiency measures were installed to improve the buildings overall energy efficiency. 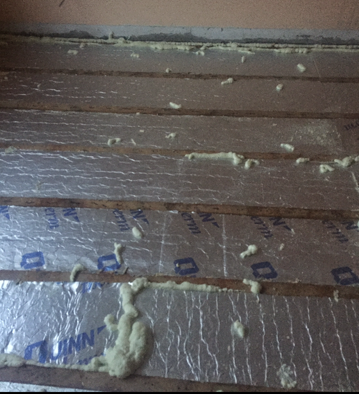 Complete cavity wall insulation, bonded bead inserted into all cavity walls using KORE fill bonded bead insulation system. 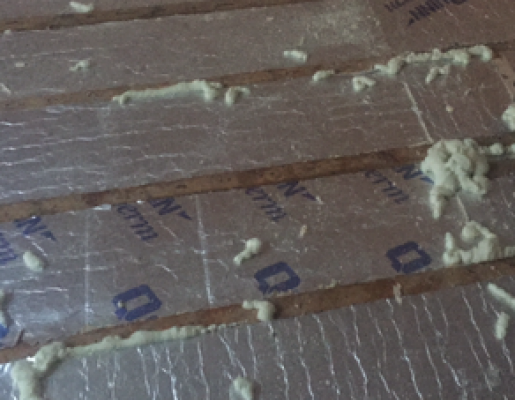 Installation of new attic insulation. 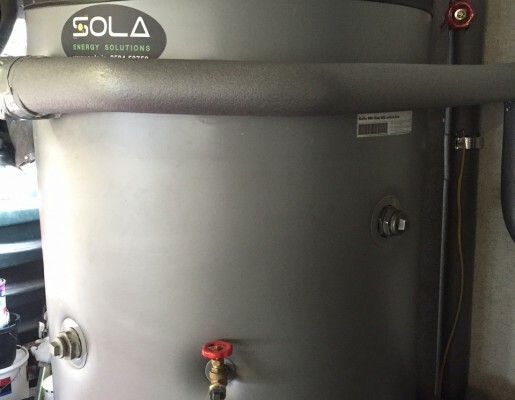 The existing hot water cylinder was removed and replaced with a new heating cylinder of 250L with a low temperature coil, temperature control and associated electrical wiring. 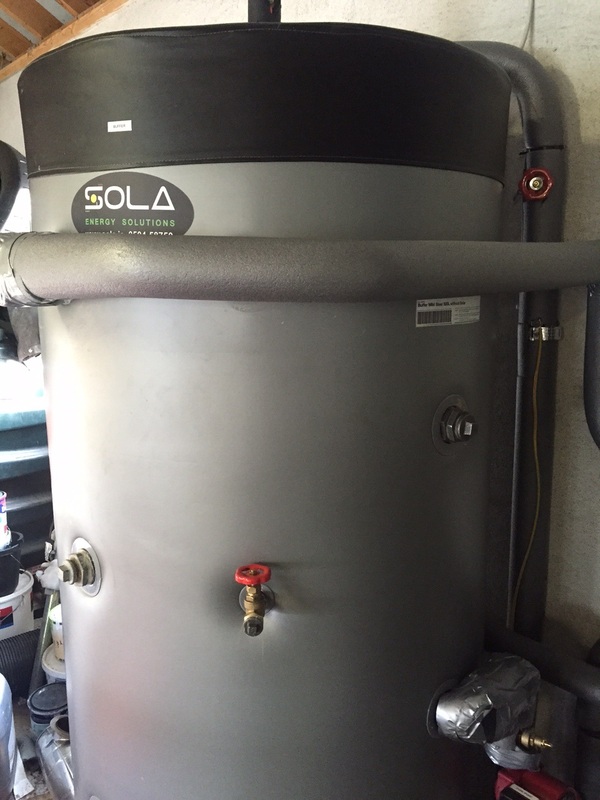 The existing cold water tank was lagged along with the feed and expansion tank. 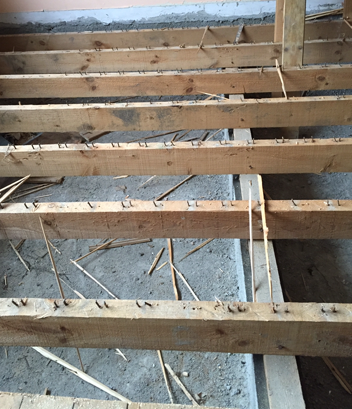 All pipe work lagged. New aluminium radiators with TRV valves were supplied and installed. 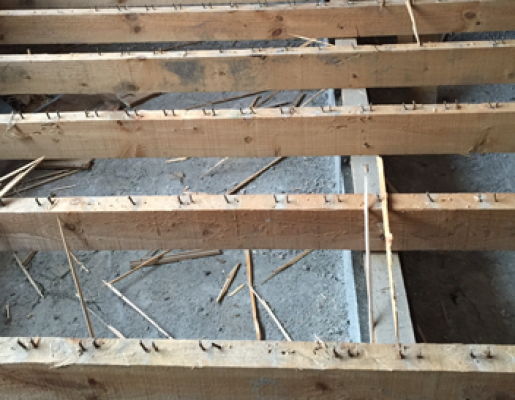 Existing gas fires and heaters were disconnected and removed. 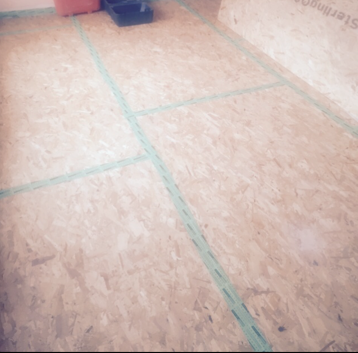 The attic hatch was draft proofed. A complete Air-Tightness test was completed and all subsequent areas of leakage were draft proofed. 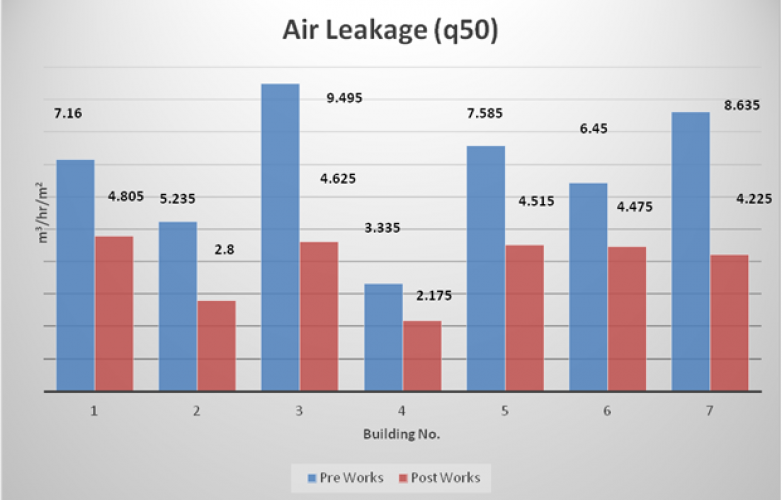 A complete Demand Control Ventilation (DCV) system was supplied and installed. 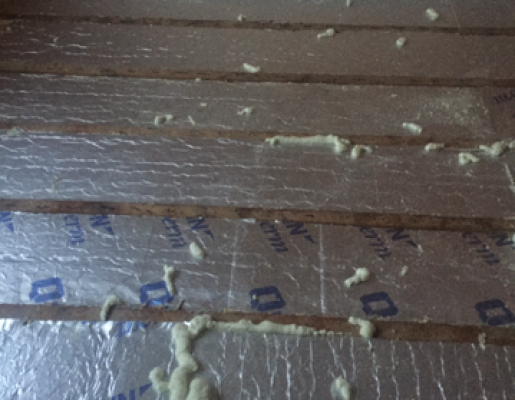 All existing vent covers, both internal and external were removed and replaced. A 2kW PV system using Phono Solar PV panels and pulsa micro invertor along with an immersion unit was supplied and installed. 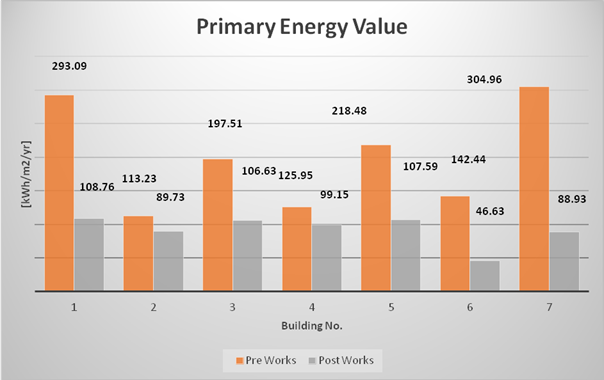 This measure included all associated wiring and correspondence with ESB networks. 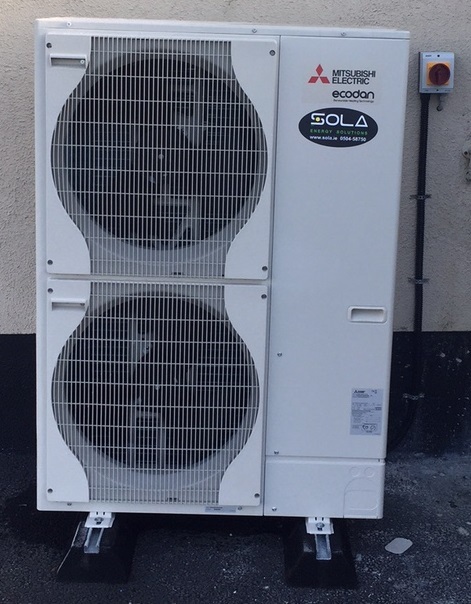 An 8.5kW Mitsubishi Electric Monobloc heat pump complete with a FTC5 controller, flow sensors, magnetic particle filter and a DHW sensor was supplied and installed. Also a Mitsubishi Electric energy monitoring package, Mel Cloud was supplied and installed. 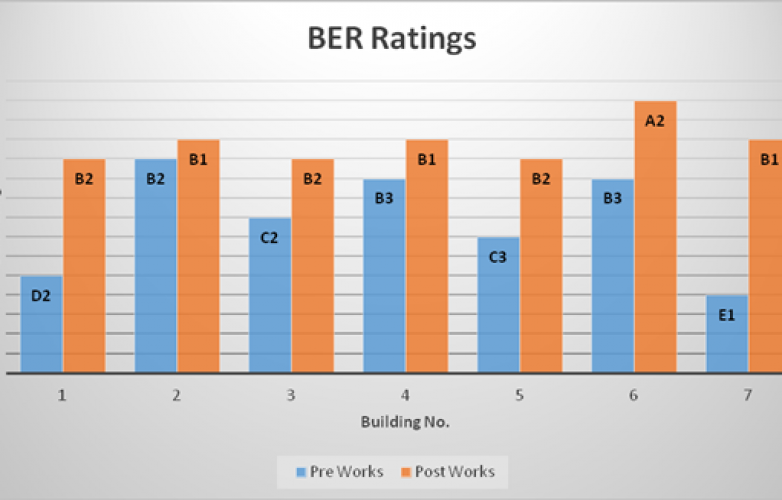 On completion of the energy efficiency measures carried out on this building, its energy performance was significantly improved. 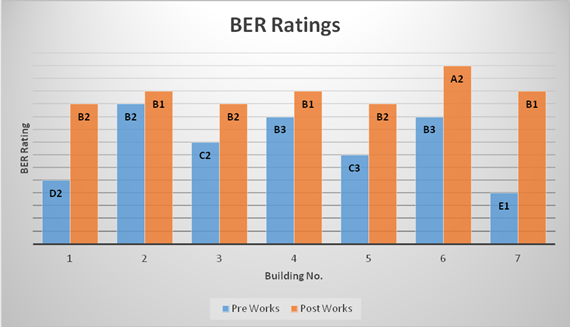 The BER rating of this premises was improved from a D2 to a B2. 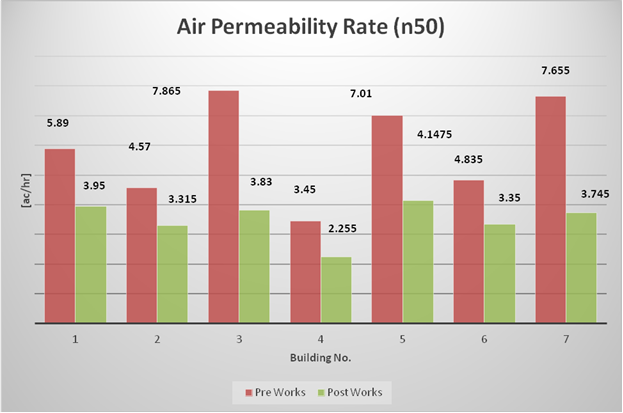 The n50 (The n50 is how the air permeability rate is expressed in air changes per hour (ac/h) was improved from 5.89 ac/hr to 3.95 ac/hr. 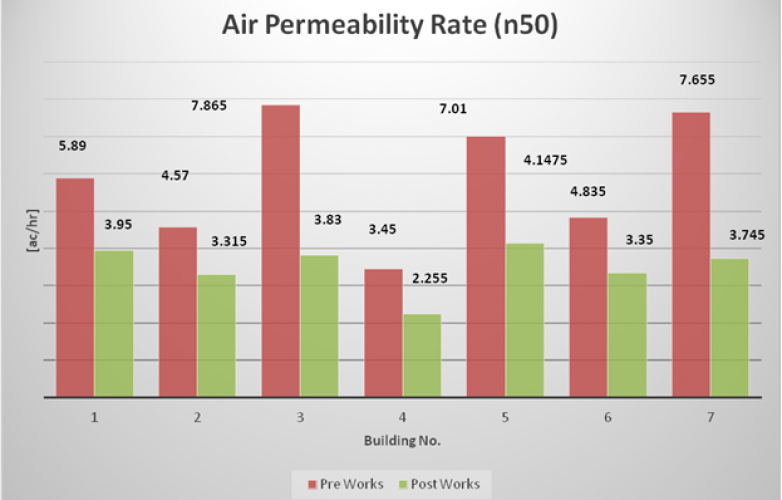 The q50 (The q50 is an expression of the amount of air leakage in relation to the total exposed surface area and is expressed in m3/hr/m2) was improved from 7.16m3/hr/m2 to 4.81 m3/hr/m2.